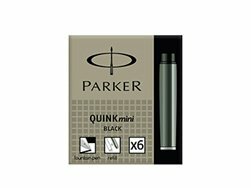 Parker IM, with its smart choice of high quality finishes, matches just about any style or mood you’re in. 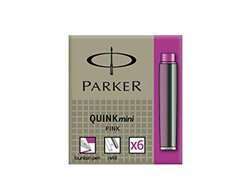 Focused on comfort and simple, high-performance functionality, its tapered contemporary shape teams up with the versatile appeal of metal to give instant modern style from PARKER. 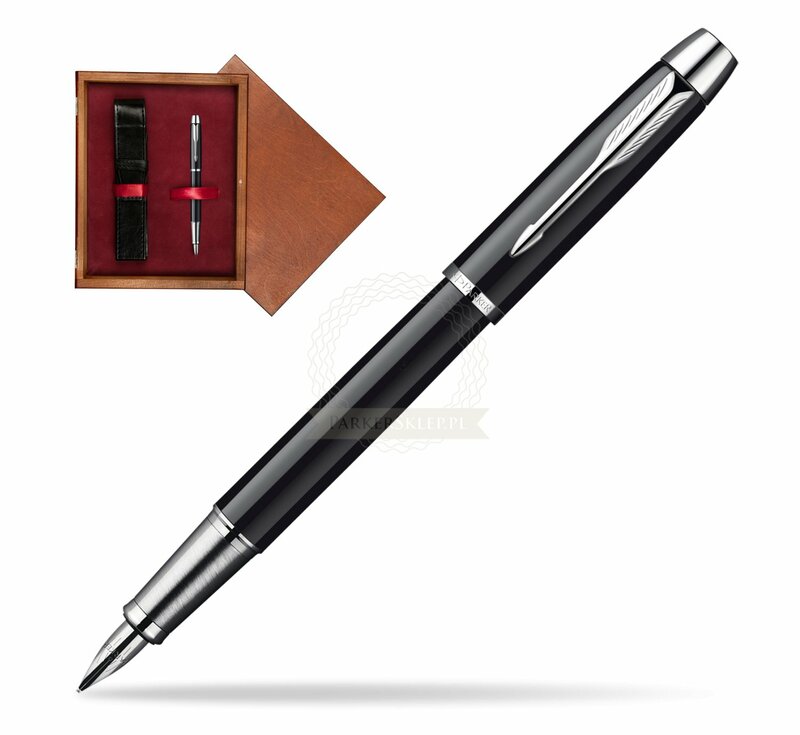 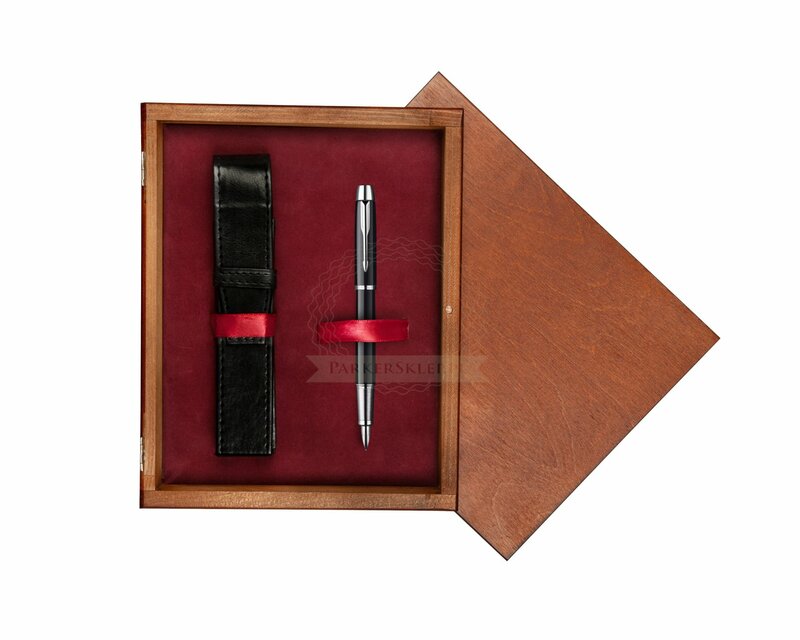 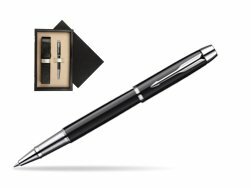 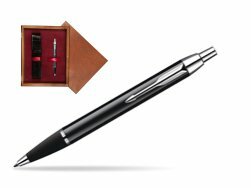 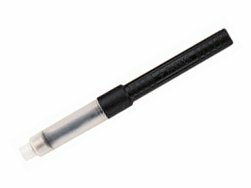 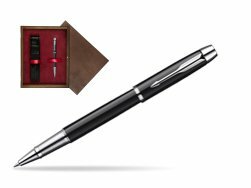 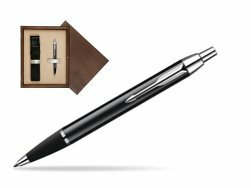 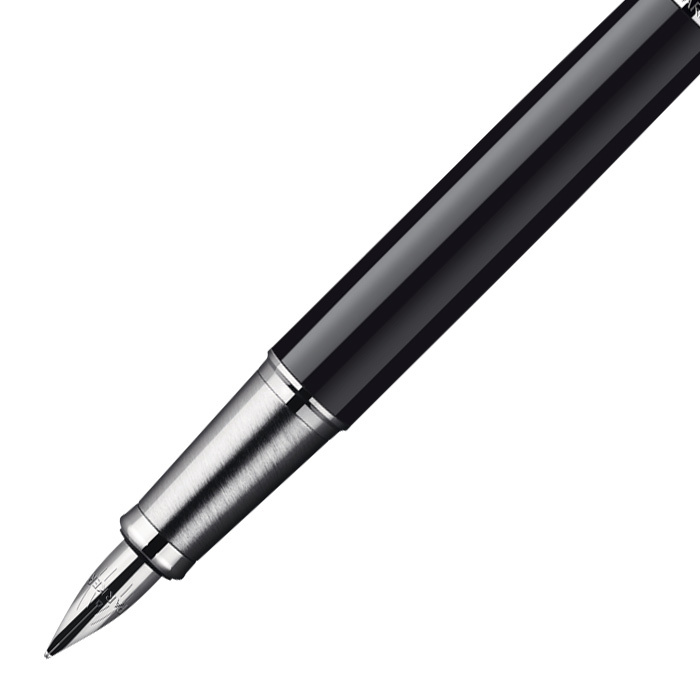 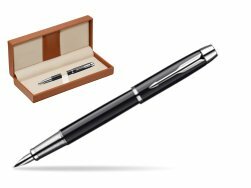 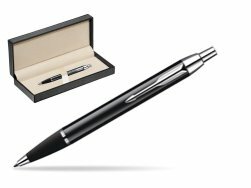 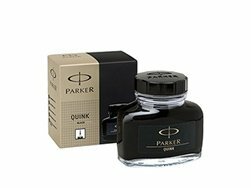 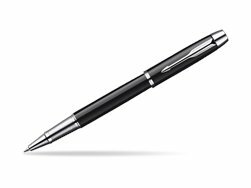 Parker IM Black Lacquer CT Fountain Pen is ideal as a gift for everyone on all kinds of occasions like birthdays or as a Parker Christmas gift. 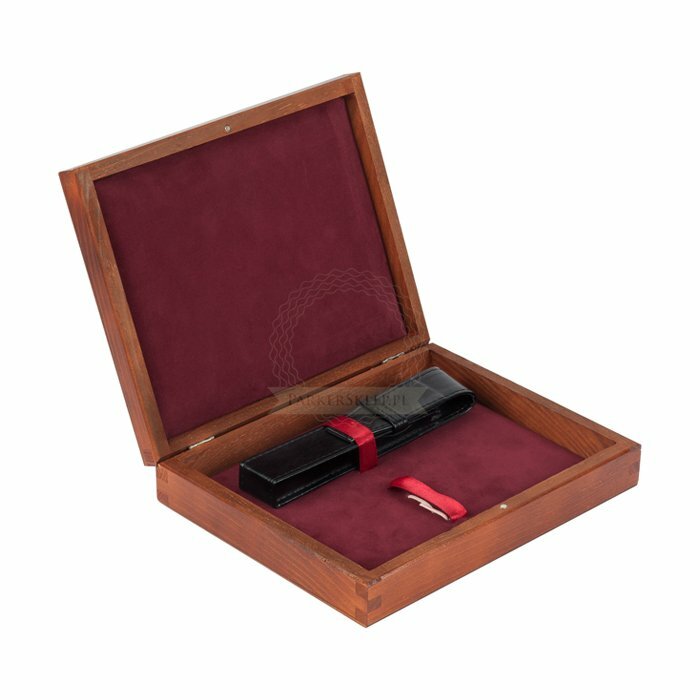 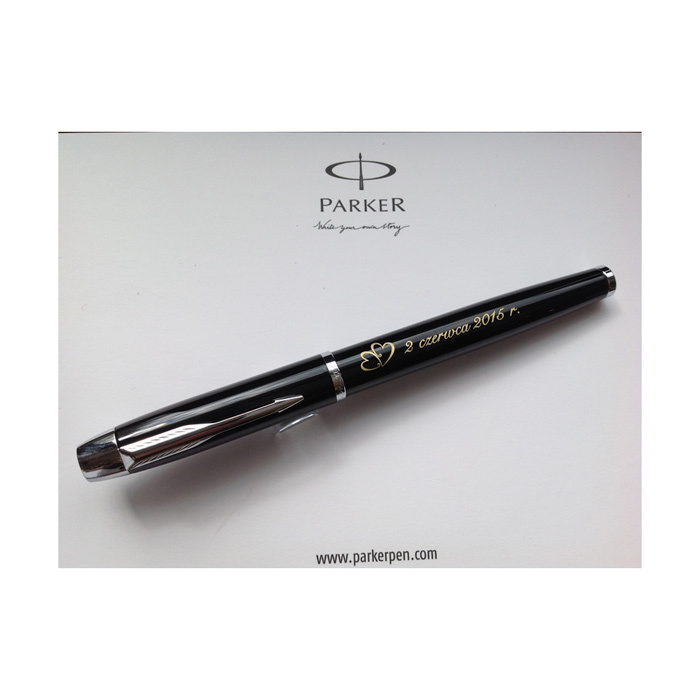 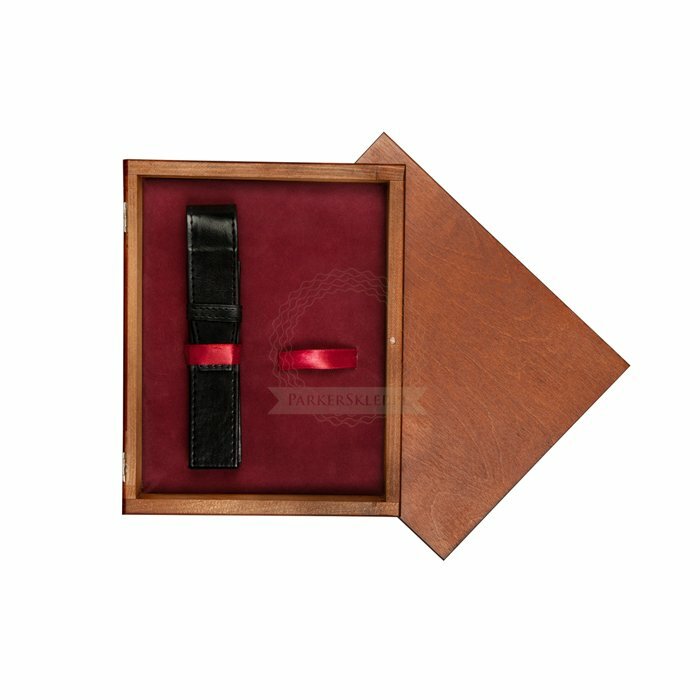 This product is perfect for all companies who wants to give Parker gifts for their employees, partners or investors. 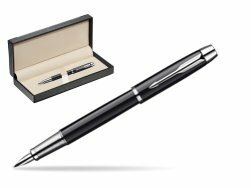 Once you feel the grace and fluidity in writing of this product you can get Rollerball and Ballpoint matching to the set. 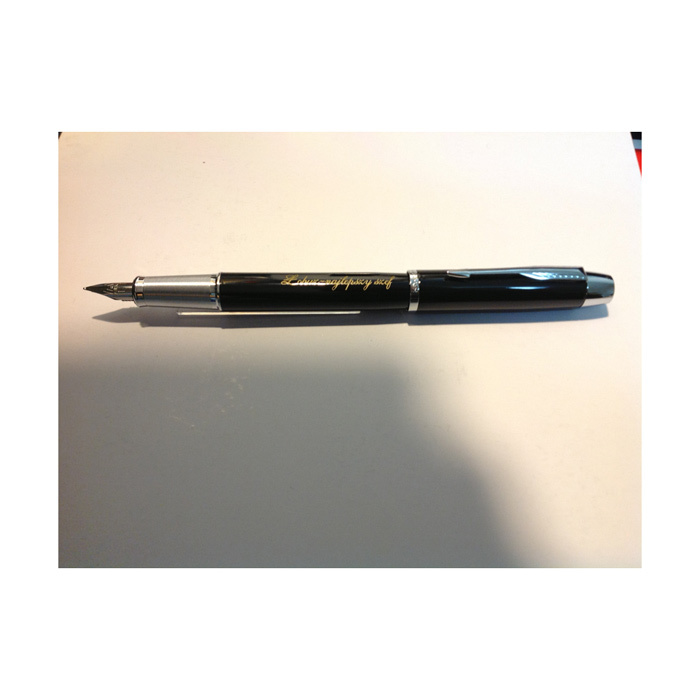 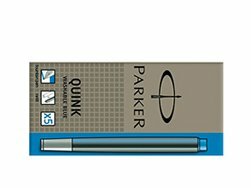 This Parker Fountain Pen can be refilled with every Parker Ink cartridges or by Parker Ink in bottle. 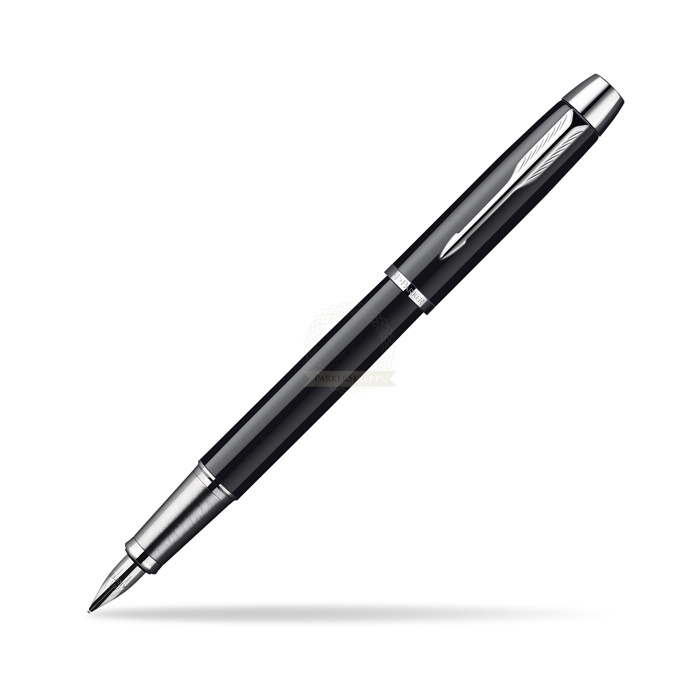 Lacquered in deep black finish with chromed trims. 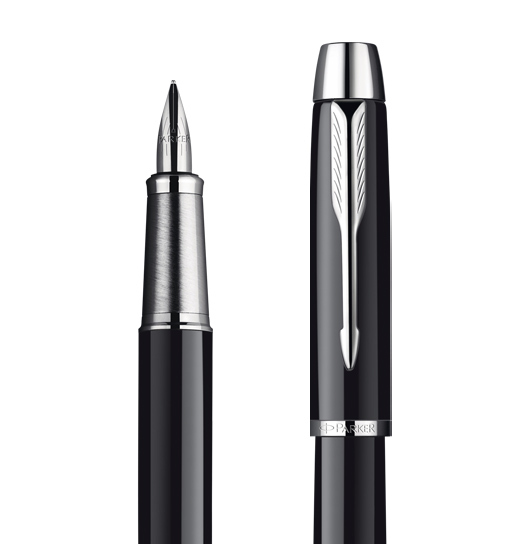 Nib in stainless steel for superior resistance and durability. 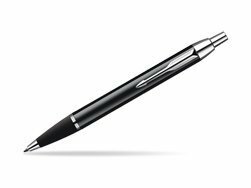 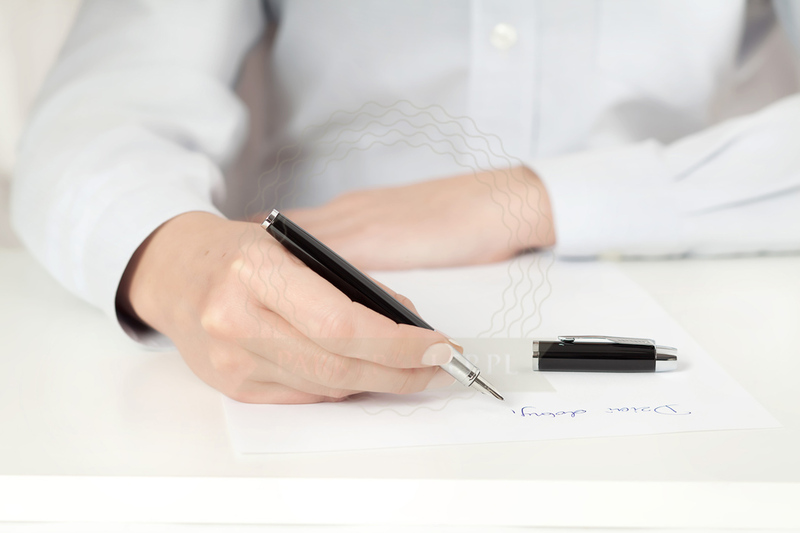 Designed to provide an optimal writing angle for both right- and left-handed writers. 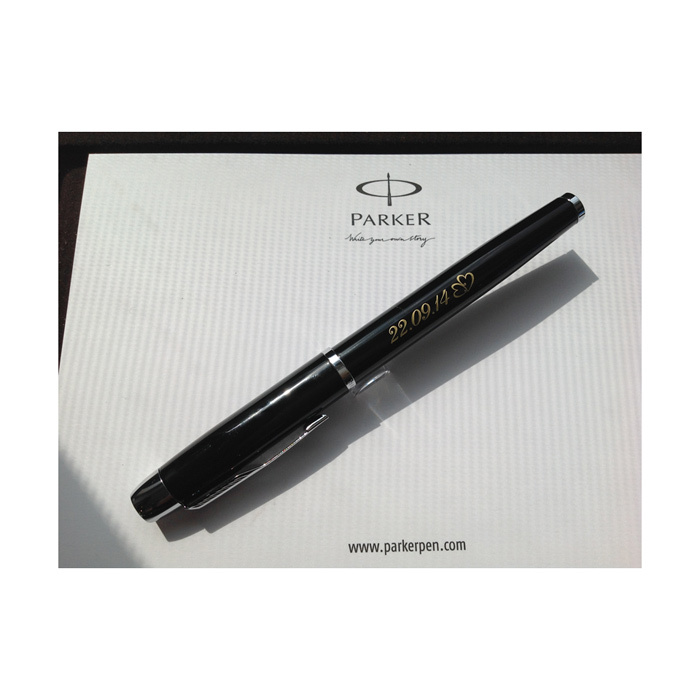 Presented in its PARKER gift box. 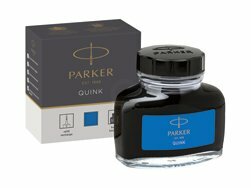 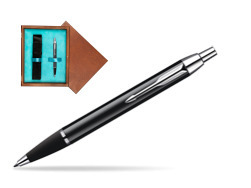 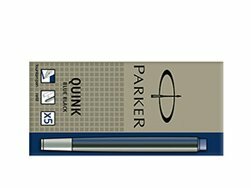 This Parker Fountain Pen comes with nib size F. One ink cartridge included in random blue or black colour.